Events at the Wolf Creek Grist Mill - Join Us! We have a ¾ mile loop trail to the observation deck above the mill & a bike path/walking trail from the corner of Rt 97 to the Mill. Our outdoor horse arena is also available to rent. To make reservations please contact us. We host several special event fundraisers throughout the year, please see details below. All event proceeds directly benefit the Friends of Wolf Creek Grist Mill non-profit group to continue our preservation & restoration efforts in order to maintain this beautiful piece of history for generations to come. Featuring the Columbus Zoo's "Animals That Travel with Jack Hanna" program that will give you the opportunity to get up close and personal to learn about Jack Hanna's animals. Discover where they're from, what they eat, and possibly touch the birds, reptiles, and a variety of mammals. Bring chairs or blankets for the lawn. Hike the steepest trail in the Mohican State Park on this ¾ mile loop trail that follows the ridge above the Mill. Relax with your family on the overlook deck & take in the beautiful views, kids can gather scavenger hunt items along way then turn in their items in at the Welcome Center Cabin to earn a prize! 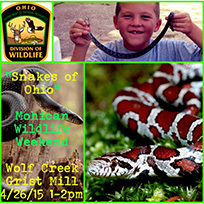 After your hike take advantage of a multitude of free kids nature crafts and activities. Tour the 1831 operating grist mill and several early 1800's log cabins and buildings to get a glimpse of what life was like in pioneer times when Ohio was the new Wild Frontier. 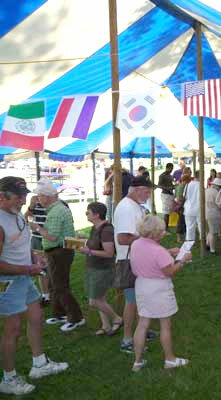 Enjoy nearly 100 varieties of International and Ohio wines, domestic beers, live music, and great food! Each adult ticket includes 1 logo wine glass and 10 free wine tasting tickets. Additional wine available for purchase separately by sample tastes, by the glass, or bottle. Beer & food available for purchase separately. $10.00 – All Adults Ages 21+ purchased at the gate on June 9. See our Facebook page for most up-to-date information. Presale tickets will be available through June 5 (4pm). $8.00 – All Adults Ages 21+ Discounted presale tickets available at Lingenfelter Jewelers, Loudonville & Online. Presale tickets are non-refundable. No print-out from Paypal needed. All presale tickets purchased online are claimed at the admission gate with valid ID. Only online ticket sales purchased through this website will be honored at gate. Any other online tickets will not be honored. 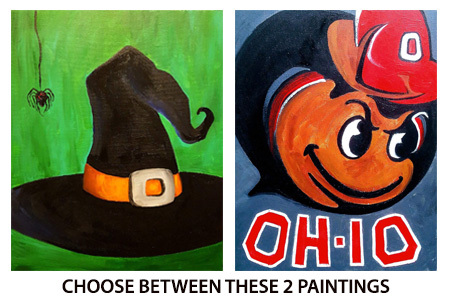 Presale Vine Art Canvas Painting session is an additional $20 per person. 15 people only per session at 2pm. EVENT HELD RAIN OR SHINE - LARGE TENTS ON SITE! Guests staying at one of the above lodging accommodations will receive FREE shuttle bus to and from the event. We will only be transporting for these sponsors ONLY. August 3-4, 2019. 10am – 5pm both days. Remembering and honoring practices of times gone by continues to be a time honored and fun tradition. “This family friendly event is about keeping history alive. We are allowing visitors to step back in time to learn how Native Americans lived. See re-enactments in characters that are fully dressed, cooking and camping as they would have lived on the frontier. Entry fee is $3.00, but receive $1.00 off if in 18th century costume! RAIN OR SHINE – 3 LARGE HEATED TENTS ON SITE! 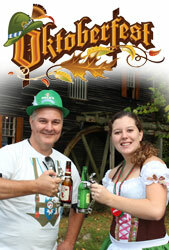 Enjoy nearly 100 foreign & domestic beers, wine, live music, & great food! All beer & wine available for purchase separately by sample tastes, glass, bottle, pitcher, or growler. Food available for purchase from multiple food vendors. Televised Ohio State Football Game on the big screen. 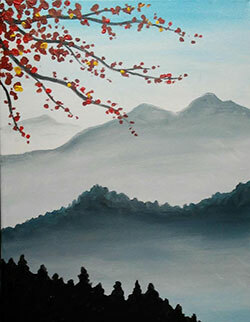 Presale Vine Art Canvas Painting session is an additional $20 per person. 15 people only per session at 2pm & 6pm. Adults 21+ are $5 & presale only includes 1 free beer. 10-20 $1, under 10 free. Presale tickets are non-refundable. No print-out from Paypal needed. All presale tickets purchased online are claimed at the admission gate with valid ID. Only online ticket sales purchased through this website will be honored at gate. Any other online tickets will not be honored. Lingenfelter Jewelers will also be selling presale tickets.